Note: The British ruled India with two administrative systems: British Provinces and Indian "princely" states; about 60% of the territory of the Indian sub-continent were provinces and 40% were princely states. Provinces were British territories directly administered by the colonial government of British India. Princely states were states with native rulers which had entered into treaty relations with the British. Except for some states that were extinguished in the 19th century (Arkat, Assam, Awadh, Kodagu, Mahratta states, Pañjab, Utkala), this record contains those Indian ("princely") states that acceded to India with effective date on or after 15 Aug 1947. If no date of accession is noted, 15 Aug 1947 is understood. This list is selective, there were 584 states when Britain granted the Indian independence 15 Aug 1947; about 210 are listed here. However, only "states" are included; "estates" (jagir), "estate revenue grants" (thikana), and "land grants" (zamindari) are excluded, no matter how prominent and/or titled their their jagirdars, thakurs, or zamindars were. Obsolete but once official English-language names of the polities are given in parentheses, i.e., Awadh (Oudh). The princely states of India entered into protectorate/tributary relations with Britain by the end of the 19th century, where exact dates are known they are noted. The phrase "British India" is used for U.K. colonial possessions even before 1858, for brevity. 8 Jul 1807 British protectorate. 1855 - 1859 Occupied by British India. 7 Jul 1708 Akkalkot founded as a fief of Satara. 1848 Akkalkot recognized as a state. 1866 - 1896 British India administration. 15 Aug 1947 Accedes to India. 1800 Capital moved to Ali Rajpur (Alirajpur). 23 Nov 1775 Alwar state founded (previously part of Jaipur). 14 Nov 1803 British protectorate. 17 Sep 1883 Thana Devli State, known as Amarnagar, founded. 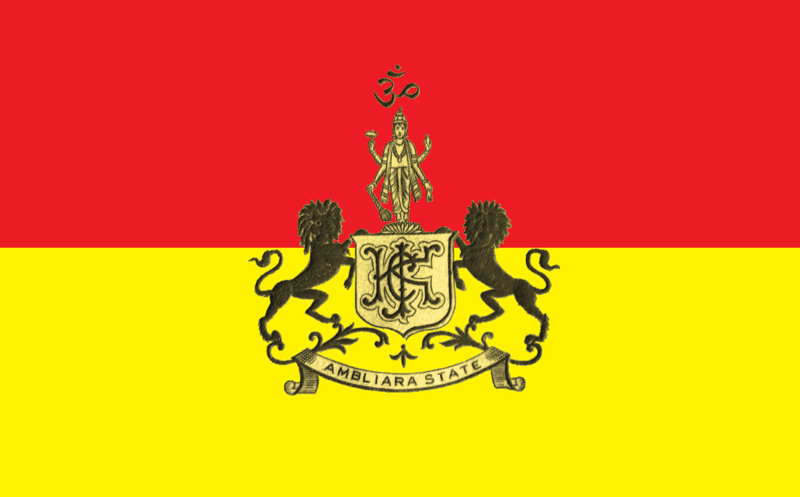 c.1619 Ambliara (Ambalaria, Ambaliyara) state founded. 16 Sep 1848 Annexed to British India. the region it dominated, founded (initially under Haydarabad). (recognized by the Emperor in Delhi 26 Aug 1765). 26 Jul 1801 Arkat is de facto absorbed by the U.K. colonial government. 7 Oct 1855 State extinguished, annexed to British India. 1228 The Ahom people (Ahom is a dialectal version of Assam). found a state, frequently under Burmese suzerainty. Mar 1817 - Apr 1817 Occupied by Burma. Mar 1819 - Jun 1825 Occupied by Burma. 1824 - 1826 Occupied by Britain. 1832 - Oct 1838 A briefly revived Ahom state in Upper Assam. 1874 Athmallik estate (jagir) is recognized as a state. 1806 - 1818 Administered by Peshwa. hereditary polity (under Mughal sovereignty) in Awadh (Oudh). 1 May 1816 British protectorate. 7 Feb 1856 King deposed and Awadh incorporated into British India. 5 Jul 1857 - 3 Mar 1858 Brief rebellion by son of deposed king. 13th cent. Predecessor state found. 11 Jul 1839 - 1842 Part of British India. Jan 1849 - 1861 Part of British India. .... - 1815 Vassal state of Sirmur. c.1545 Bamra state founded according to tradition. 1194 Part of Awadh (Oudh). 1740 Estate (zamindari) transformed into Banaras state. 21 May 1775 - 9 Nov 1910 Part of British India. 15 Aug 1947 Accedes to India, as Varanasi. 1665 Banganapalle (Bunganpully) jagir created by Bijapur. 1790 - 1800 Tributary to Haydarabad (Hyderabad). 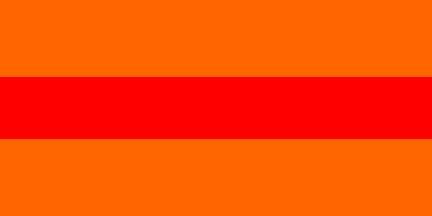 Oct 1835 - 12 Jul 1848 Annexed to British India (part of Madras). 18.. Estate becomes a state. 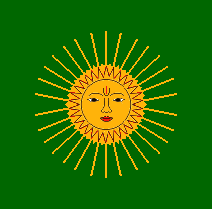 1 Feb 1905 - 19 Dec 1908 Administered by British India (Madras). 1939 - 1947 Again administered by British India. 23 Feb 1948 administratively merged with Madras (annexed 1 Aug 1949). 1770 Divided between Kangra and Guler. 16 Nov 1818 British protectorate. Apr 1731 Baroda state founded by Mahratta general. 1732 - 1734 Baroda under Mughal rule. 836 Barwani state founded, originally called Avasgarh. 1880 - 1886 British India administration. 5 Aug 1914 - 30 Nov 1917 British India administration. 1817 - 1822 Occupied by Gwalior. 1790 Independence from Bilaspur (confirmed 4 Sep 1815). c.1750 Beri (Beri-Bundelkhand) state founded. 1483 Bhadrawa founded possibly as an estate (jagir) later becoming a state. 16 Mar 1846 Annexed to Jammu and Kashmir. 21 Sep 1815 British protectorate. by Maharaja Jai Singhji II of Jaipur. 18 Jan 1828 British protectorate. 1194 Predecessor state of Sejakpur founded. 26 Aug 1947 Accession to India. 27 Mar 1811 British protectorate. 1465 Bikanir state founded (city founded 1488). 9 Mar 1818 British protectorate. 1828 - 184. Hindu Mal Baid ? c.1841 Sri Narayan Singh Bhati ? c.697 Kahlur state (later called Bilaspur) founded. 6 Mar 1815 British protectorate. 1902? - 1 Oct 1915 Under supervision. 10 Feb 1818 British protectorate. 900 Capital moved to Chamba. 1809 - 1846 Tributary to Jammu. 9 Mar 1846 British protectorate. c.1790 Changbhakar estate (zamindari) under Korea. 1819 Changbhakar estate recognized as a state. 1743 Chhota Udaipur state founded. 21 Oct 1822 British protectorate. 1750 Chhuikadan (Chhuikhadan) estate (zamindari) founded. 64 AD Chota Nagpur Raj founded. 1817 Reduced to an estate by the British. 27 Jan 1917 Incorporated into Jath. 31 Jul 1818 British protectorate. 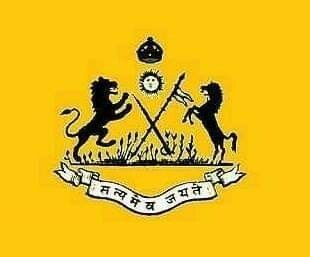 1728 Dewas (Dewas Junior Branch) state founded. 18.. Dhadi state founded, split from Tharoch. 18.. - 18.. Tributary to Tharoch. 18.. - 1896 Tributary to Bashahr. 1896 - 1947 Tributary to Jubbal. .... - 1803 Tributary to Bilaspur. 10 Jan 1819 British protectorate. 14 Feb 1858 - 1 May 1860 State sequestrated by British India. 1766 Capital moved to Mandvegan and renamed Dharampur. 31 Dec 1802 British protectorate. c.700 Dholpur (Dhavalapura) state founded. 1740 - 1756 Occupied by Gwalior. 1761 - 1775 Dholpur annexed to Bharatpur. 1782 - Dec 1805 Dholpur annexed by Gwalior. 1784 - 1804 Gohad annexed by Gwalior. 10 Jan 1806 British protectorate. 1806 Ruler of Gohad merges Gohad into Dholpur. 11 Dec 1818 British protectorate. 1643 Kot Kapura state founded. 1763 Kot Kapura split into two states: Kot Kapura and Faridkot. 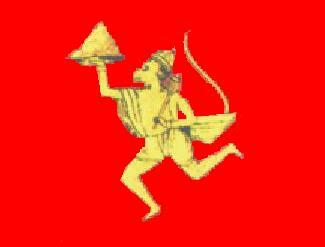 1807 - 1846 Kot Kapura incorporated into Pañjab. 1808 - 1809 Faridkot occupied by Pañjab. 3 Apr 1809 British protectorate. 1714 - 10 Nov 1801 Tributary to Awadh (Oudh). 4 Jun 1802 Reduced to an estate. 1807 Gaurihar state, split from Ajaigarh. 1813 Annexed to the Pañjab (Punjab). 1232 - 1398 Annexed by Dihli (Delhi) sultanate. 1518 - 1731 Annexed by Mughal empire. 2 Nov 1731 Sindhya (Scindia) state re-founded by Mahratta general. 1766 Gwalior capital of the state, gives it its name. 13 Oct 1781 British protectorate (and 30 Dec 1803). 11 Nov 1922 - 18 Feb 1924 William Ellis Jardine (3rd time) (s.a.
1512 - 1687 Part of the Kingdom of Golkonda. 1687 Part of the Mughal Empire. 7 Dec 1724 Haydarabad made capital of the state. 12 Nov 1766 British protectorate (and 22 Aug 1809). 15 Aug 1947 Nizam refuses to accede to India. 17 Sep 1948 India occupies Haydarabad militarily. 1679 - 1731 Period of anarchy. Baad (also called Bayar), and Soor. 1821 Morasa absorbed by Ahmadnagar. 1826 Baad absorbed by Idar and Ahmadnagar. 1773 Ahmadnagar (Ahmednagar) estate of Idar. 29 Oct 1843 Re-united to Idar. 1731 Indaur state founded by Mahratta general. 24 Dec 1805 British protectorate. 6 Dec 1733 Defensive and offensive treaty signed with the British. 1759 Jafarabad and Janjira states enter into personal union. 15 Mar 1835 Annexed to British India. 1300's - Nov 1727 Also known as Amber. state takes name from capital. 2 Apr 1818 British protectorate. 1156 New capital Jaisalmir founded; state takes name from capital. 1849 Annexed by British India. 1826 - 1829 British protectorate. 1829 - 1838 Occupied by Baroda. 6 Jan 1817 Jaora state founded. 6 Jan 1818 British protectorate.